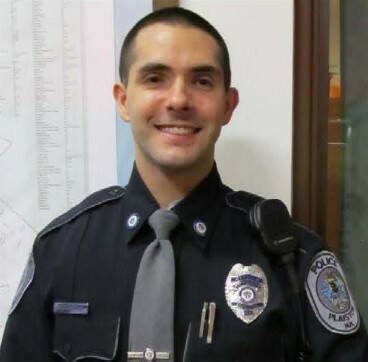 The Timberlane Regional School District is pleased to announce the appointment of Officer Ryan Garney of the Plaistow Police Department to the position of Campus (School) Resource Officer. Officer Garney has been assigned to the Timberlane Regional High School, the Timberlane Regional Middle School and the Timberlane Performing Arts Center. In 2009 Officer Garney received a Bachelors of Science in Criminal Justice from Roger Williams University with a minor in Psychology. He then graduated from the 158th NH Police Academy in September 2012. Prior to his employment with the Plaistow Police Department which began in May 2012, he was employed at Key Program, Inc. as an Outreach and Tracking Caseworker/Therapeutic Mentor. Preceding this he was employed as an advocate for physical and social needs with juvenile courts, schools, medical/mental health professionals and community organizations. He also facilitated family meetings to foster positive parent/child communication utilizing family centered and strength based approaches to treatment. In 2011 he attended the Youth Worker Training Institute and completed programs at the Crisis Prevention Institute (CPI) for Non-Violent Physical Crisis Intervention and Child Assessment of Needs and Strengths. The School Board and Superintendent of Schools expect his credentials and abilities will benefit advantageously the continued successes and goals of the Timberlane Regional School District.